The group of young girls visiting the Northrop Grumman recruiting booth at the Miramar Air Show had more in common than the hot pink T-shirt each was wearing. They all believed the sky’s the limit when it comes to career opportunities in aviation and aerospace. After a long talk about taking flight with U.S. Marine Corps Capt. Katie Higgins, who flies the Blue Angels C-130 “Fat Albert”, Capt. Higgins signed commemorative programs for the girls. Girls in Aviation Day encourages and inspires the next generation of future fly girls to pursue a career in aviation. 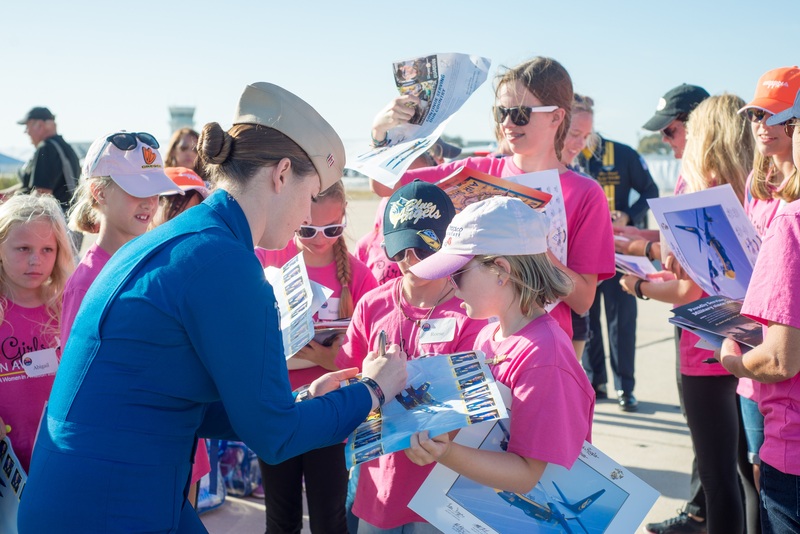 The San Diego Chapter of WAI – the sponsor and organizer of the Girls in Aviation Day event at Marine Corps Air Station Miramar – selected 17 local girls, ages 8 to 16, through an essay contest. 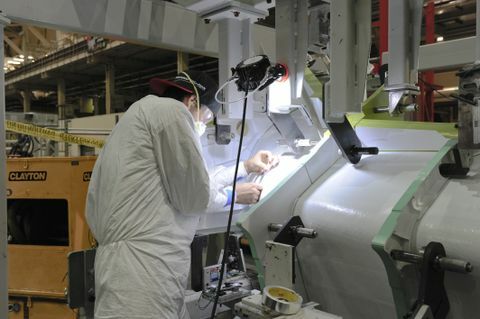 “There are so many exciting opportunities available in aviation and aerospace. We’re dedicated to encouraging and inspiring girls to pursue these careers, whether as pilots, astronauts, air traffic controllers, airport managers, aerospace engineers or other STEM (science, technology, engineering and mathematics) related professions,” said Jill Meyers, president of the WAI San Diego Chapter and an F-35 Lightning II program manager for Northrop Grumman. For the contributions to the community she has made working with WAI San Diego, Jill received the 2016 Women in Leadership Award from the San Diego East County Chamber of Commerce last month. 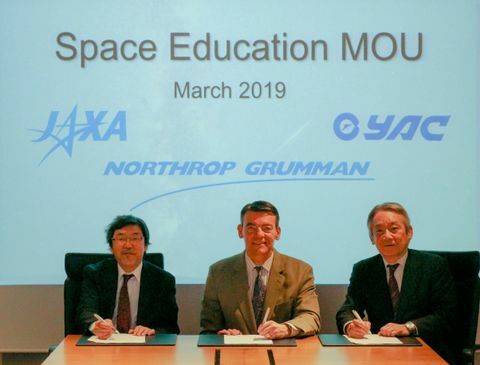 Northrop Grumman programs in San Diego include the communications, navigation and identification avionics for the F-35, airborne gateways and unmanned systems. The company’s communications business, a Miramar Air Show sponsor, had a recruiting stand at the show to help fill the more than 400 open positions in San Diego working on these and other programs. “Miramar provided a wonderful opportunity for us to meet and talk with members of our community and recruit the talent needed to continue the future growth of our business,” said Dana Matonis, a San Diego-based business development manager. The business is hopeful that one day those new recruits will include some Girls in Aviation who aimed high and earned their wings. 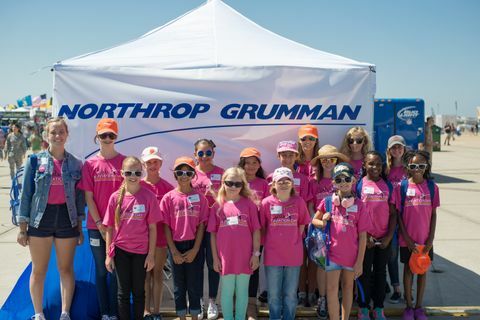 The Girls in Aviation Day event participants visited the Northrop Grumman recruiting booth at the Miramar Air Show, Sept. 23.